The following review of Kansas City Life will provide an overview of the company’s strengths and products. With hundreds of companies in the marketplace, it is difficult to know which carriers represent the top rated best life insurance companies out there. At TermLife2Go, we provide both exam and no exam life insurance options so our clients can find the right company at the right price, based on each client’s unique need, health and lifestyle. As the name suggests, Kansas City Life Insurance was first established in Kansas City (the Missouri side!). That was in 1895, but today, more than 120 years later, Kansas City Life Insurance Company operates in 48 states and Washington D.C. There are a number of third party organizations who help customers to choose where to invest their money, and what financial products to buy. They do this by rating financial institutions such as life insurance companies. Ratings are based on thorough analysis and inspection of a life insurance company’s financial records, standing, and future outlook. One of the most prominent third party rating agencies is A.M. Best. A.M. Best has 13 different ratings ranging from A++ to D.
As of July 2016, Kansas City Life Insurance was awarded an A by A.M. Best Company. A.M. Best’s opinion matters—mostly because it’s not an opinion. Their research is thorough, and when they grant a life insurance company a rating, it usually carries a lot of weight. Seeing that Kansas City Life Insurance has such a high rating says a lot about the company—life insurance seekers will likely be in good hands if they choose to purchase a life insurance policy from Kansas City Life Insurance Company. Like most life insurance companies, Kansas City Life offers many different types of life insurance policies, all of which are pretty standard. It is important to understand the differences to know which product, term life vs permanent life insurance, is going to be the right fit for you. Level term life insurance offers coverage for a set amount of time. The premiums are much lower than other life insurance policies because of this. The payout from life insurance is tax-free. The policy is considered convertible life insurance. If you choose to purchase a term life insurance policy from Kansas City Life and then decide you want to continue your coverage, you can convert all or a portion of your policy to permanent coverage with no proof of insurability. Term life is cheap life insurance in comparison to permanent coverage. See our term life insurance rates charts for examples on how much term life insurance costs. You can also choose return of premium life insurance ROP from Kansas City Life. ROP will return your premiums at the end of the policy term. Universal Life Insurance policies build cash value that can be cashed out prior to your death should you need it through withdrawals or life insurance loans. The premiums are flexible and can be adjusted depending on your ability to pay. UL policies allow you to earn interest and provide a guaranteed interest rate. Indexed universal life (IUL) is similar to a universal life insurance policy except that there is more cash value growth potential. IULs allow you to allocate your premiums to certain indexed accounts for 12-month index periods, earning index credits at the end of the segment. You can also choose a fixed account that earns a declared rate from the company. IULs are not investments in the stock market, but rather they track different major indices, such as the S&P 500, NASDAQ 100, DJIA, Russell 2000, etc. Indexed universal life offers a guaranteed floor in the fixed account and indexed accounts. This is a great benefit since it protects your principal from market losses. Variable Universal Life is an actual investment in variable sub-accounts, similar to mutual funds. This option is good for someone who has the time and know-how to look after an investment; if you just want to purchase a policy and forget about it, then this is not a good option for you. Kansas City Life Insurance Company offers several variable products, including Accumulator Variable Universal Life. The product offers several investment options through variable sub-accounts or a fixed account with a guaranteed 3% rate. You can also elect three different death benefit options, including a level death benefit, an increasing death benefit and a level death benefit with return of premium, minus any withdrawals. Cash value whole life insurance offers permanent coverage similar to universal life except it offers additional guarantees that help make it a safer financial vehicle than both IULs and VULs. Whole life offers guaranteed premium payments, guaranteed death benefit protection and guaranteed cash value growth. All cash value life insurance is tax favored and provides a great way to diversify your financial portfolio. Kansas City Life Insurance also offers life insurance seekers a variety of life insurance riders that make your policy more customized to your specific needs. In addition to its complete line of life insurance products, Kansas City Life Insurance Company offers fixed annuities and variable annuities. Annuities provide long-term investment options to help supplement your retirement income. Fixed annuities provide a safer environment than variable annuities since variable annuities allow you to allocate your money to variable sub-accounts. Kansas City Life Insurance Company is a decent sized life insurance company that’s been in the game for quite some time. This is important since a life insurance policy should be issued by a company that’s actually going to be around once it comes time for your relatives to collect the death benefit. They aren’t the biggest life insurance company, but certainly not the smallest, either. One might say, they’re just the right size to offer the kind of life insurance infrastructure of a large company while still being attentive to policyholders on an individual level. Are there any cons to Kansas City Life? Well, not really. The only drawback of purchasing a life insurance policy from Kansas City Life is that you’re making a decision to stick with what one company has to offer. You might be happy, but is it actually the very best choice for you? For some, yes. For others, maybe not. Purchasing a life insurance policy is a very personal experience. There is no way to make blanket statements about whether one life insurance company is better than another because that really depends person to person. Is Kansas City Life Insurance Company Right for Me? Like we said, buying a life insurance policy really comes down to each individual person. For many people, we’re sure that Kansas City Life Insurance is a great way to go. However, for many people, it may be a good option, just not the best option. Finding the best option requires choices. We suggest that in order to know if Kansas City Life Insurance really is the best for you, to give them a call. See what they have to say and offer considering your personal life situations and needs. Then, call TermLife2Go. We work with many of the top life insurance companies in the United States. While we do not work with Kansas City Life Insurance, we do know they are a great company. We will, however, help you to know which of the many life insurance companies we work with we believe will offer you the best deal and the best life insurance policy. Then, you can compare that to what Kansas City Life Insurance has offered and decide for yourself which is the best life insurance company for you. Either way, TermLife2Go wants to see you with the best life insurance coverage you can get. When you’ve got great life insurance coverage, then we’re happy! 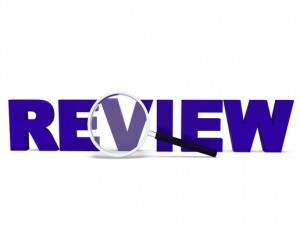 Thank you for reading our article, Kansas City Life Insurance Company Review. Please leave any questions or comments below.